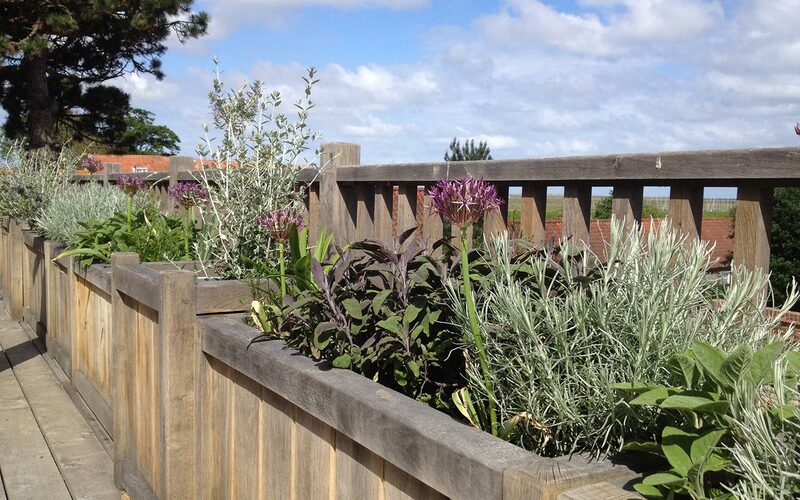 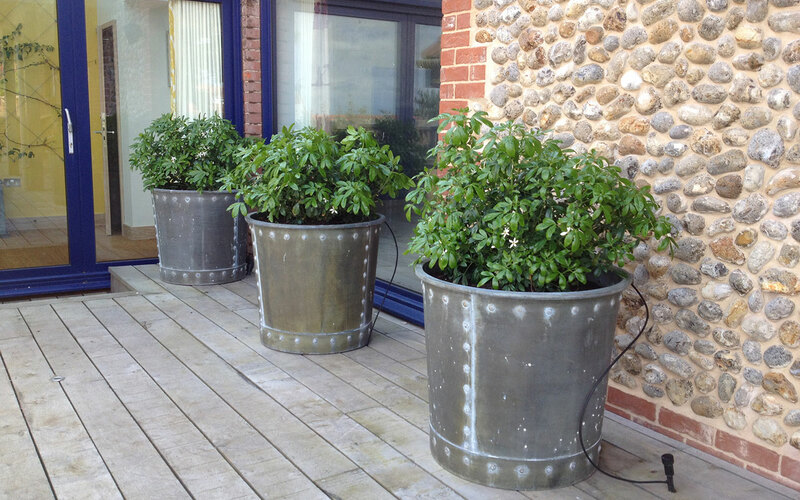 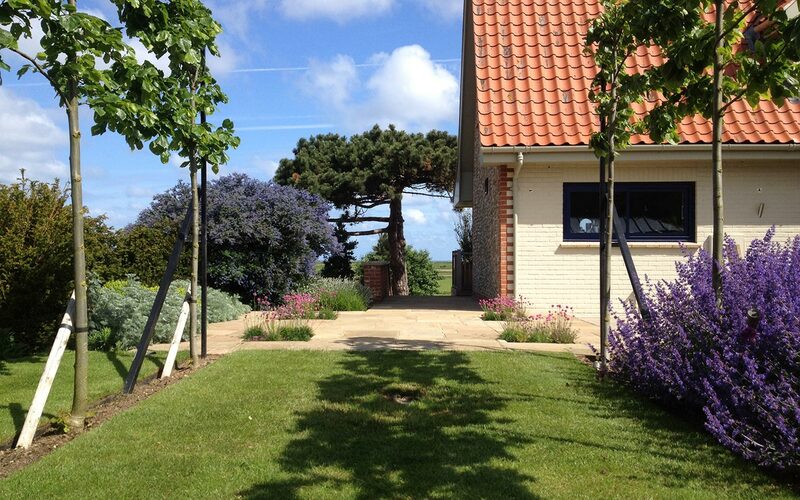 This garden for a large contemporary house has huge views of Norfolk saltmarsh and coastline. 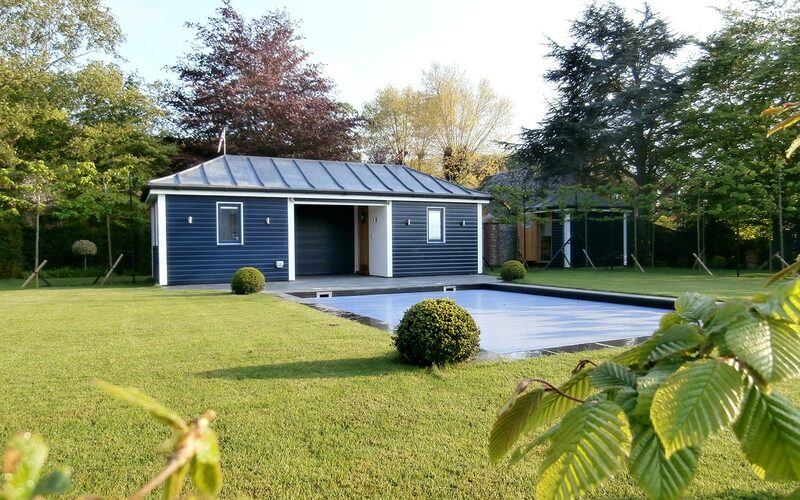 It is extravagant, playful and modern. 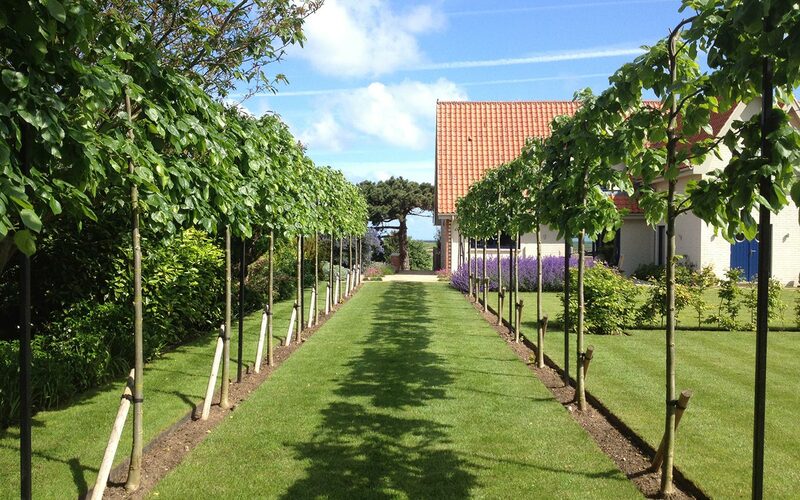 In the main garden a series of garden rooms, vistas and avenues were created using pleached lime trees, yew and hornbeam hedging all centred around an swimming pool which reflects the Norfolk sky. 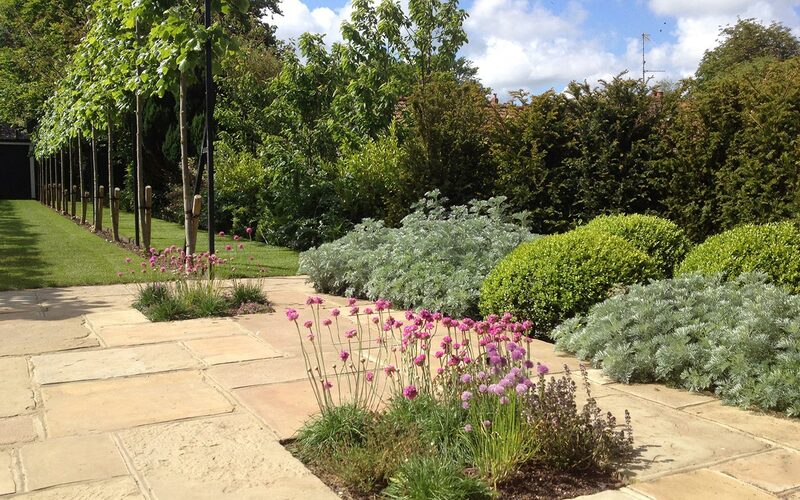 Seasonality comes with deciduous and evergreen planting, flowering shrubs and herbacous planting, and Spring bulbs. 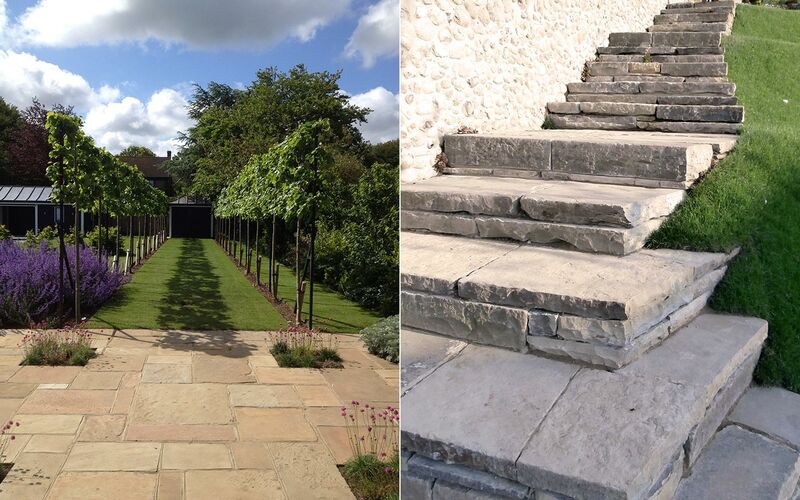 Large terraces of reclaimed and sawn york stone, and oak decking provide areas to sit at all times of the day and night. 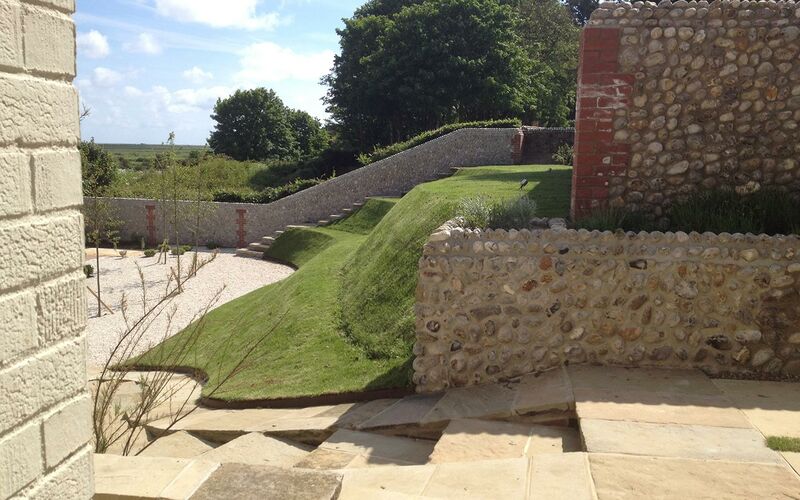 Dry stone walled steps access the huge, playful grass terraces for spontaneous seating and fabulous views of the saltmarsh and coastline. 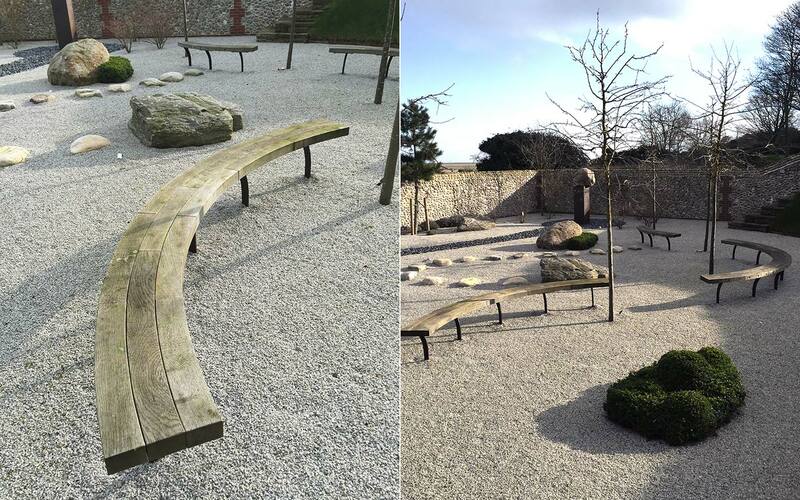 In 2015 a new Japanese garden was completed with hardwood ‘armadillo’ bridge, a pebble river and large sculptures.